What’s the Project? 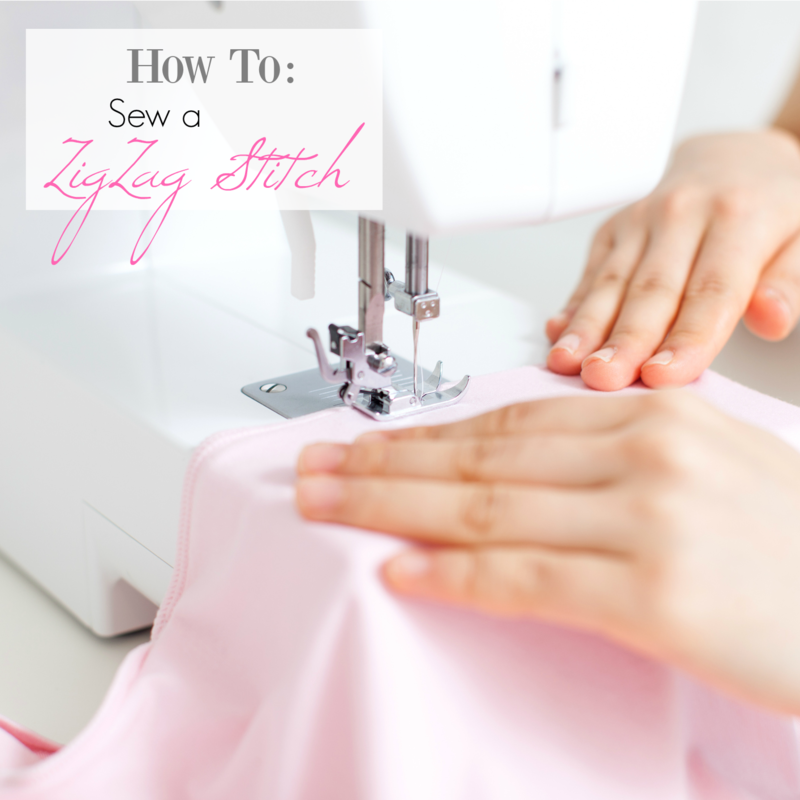 If you’re learning to sew and need a little help with how to sew a zigzag stitch, this lesson will give you all the help you need to understand the basics. Hopefully, you have mastered how to sew a straight line and now you are ready to move on to the zigzag stitch. This is another basic fundamental of sewing and the second lesson in these online sewing classes. Zigzag is a fun stitch to do, simple to learn and handy in a lot of scenarios. 3. 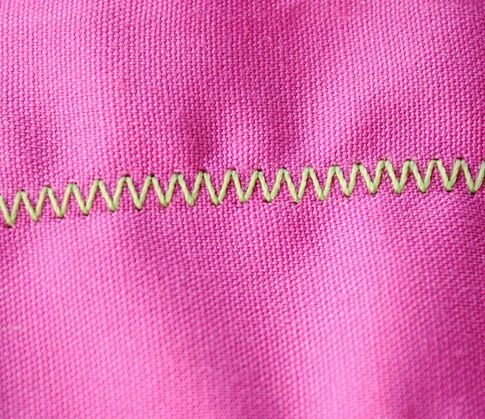 Zigzags are used in applique and buttonholes. We are going to learn about those more in Lesson 7. So, let’s get started sewing. On this one, I have adjusted the WIDTH of the stitch to be larger. See how the zigzag is very big and wide? And that’s it. Not too hard is it? Pick a project-I will give you several options here, you are also welcome to choose something of your own, just be careful to make sure that it is in your ability range. Sew it up this week before you move on to Lesson #3-Turning and Top Stitching. Or choose your own! Any clothing item that you zigzag the edges to prevent fraying can work! Or anything you can find to use a zigzag on! These are so cute! The only issue I had when I made mine today was getting the machine to cooperate on the thick parts? I broke a needle! Is there a way around this that I haven’t learned yet? I hate that! I broke my moms needle once and it was frustrating! Usually what I do on the thick parts is go really slow or do it by hand. Hope that helps! They do sell heavy duty needles for sewing through thick stuff too. 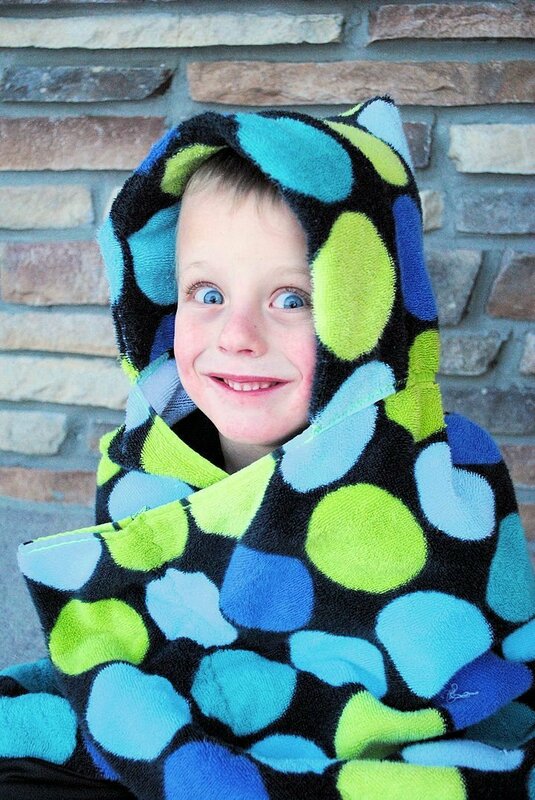 A hooded towel was one of my first projects when I started sewing again and I think your method may be even better. Excited to try again because a little toddler wrapped up in a hood must be one of the cutest things! When instructions call for satin stitch, is that like a really tight zig zag? Love the tutorials in the series!! Yes, I think I will add that to my tutorial. I’m having so much fun with this series. Thanks for helping me use my new machine. I can’t wait to make the hooded towel! Heh… I may have to revisit parts of this series when I can afford a new machine, I s’pose… lol. I think I might attempt the hooded towel with a double row of straight stitches or something, they are so cute! Definitely! You don’t HAVE to zigzag. You can do it with straight. It can be done as well with a straight stitch. We sewed with the early Singer machines that only had a zig-zag attachment that I rarely used. Just practice first on scrap towel thickness and don’t make your stitches too small or too tight. I found a tutorial to add a ruffle to pant legs and it uses a zig-zag stitch to make the ruffles, so that’s the project I used to practice this stitch. Turned out pretty well. I’m surprised at how non-intimidating this stuff is once you just get in and do it. Lesson #2 is a success! I LOVE this tutorial! I can’t wait to do it! Thanks again! Thank you for these posts!! I have learned something from both so far. I am a beginner sewer(teaching myself as I go). I found the explanation of the Satin Stitch especially helpful! The only times I have changed the settings on my machine have been to do gathers lol! 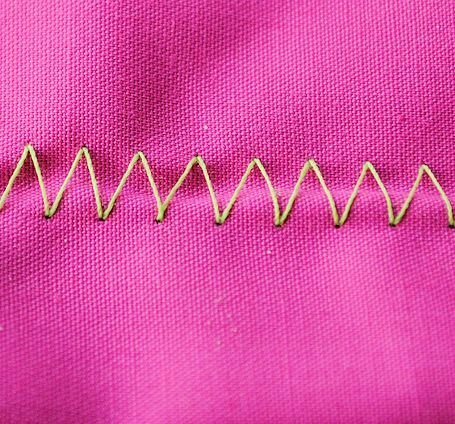 Is this the stitch we will be using when you go over the applique technique? Yes, Satin Stitch is what you use to applique. Thanks for the tip about the “dotted zigzag”. I have been wondering for a while what that was for! Looking forward to next week! I love all the zig zag stitches! The only trouble I had was it getting to thick during the knotting process. Still need some work on that! This if fun to try and learn to sew. Thanks for the lessons!!! Plan on making the dragon hooded towel this week for a baby shower gift.. Thanks for having this series.. I come from a family that is truly gifted in sewing, I of course am lacking this gene, so I appreciate your ability to make sewing less intimidating! Thanks for the tutorial. And the patterns at the shop are adorable! Love the quick zig zag tutorial! I’m never sure what I’m going to end up with so this all helps understand how it all works. Loving your tutorials. I would love to win some patterns. They are so cute! One hot pink hooded towel coming up! Since we didn’t add a face, and my towel is solid, I’m braintstorming what I can “do” to it! ha Wish I knew how or what I need to monogram! Or I may just wait until we learn to applique and try that. Thank you for teaching us what the dotted zigzag stitch does! I always wondered but was too intimidated to try it for fear I would ruin something! Thank you for build up my confidence in sewing too! I’ve had mu sewing machine for an entire year and have been intimidated by it. Now I have twin babies, boy & girl, and am determined to learn to use it. Love your blog. So this week’s lesson went just ok. Overall, the towel is done in one piece and unless you inspect it carefully, it looks fine, but I did have a few problems. First I had trouble getting the towel moving. At the beginning of all my stitches, the needle would just zigzag in the same place and not feed the towel forward. I had to keep lifting the presser foot, move the towel just a smidgen, and try again to get it going. Once it got going, it would be ok. I broke a needle, but replacing it with a heavy duty one went easily. I had a problem with the hood piece slipping forward as I was sewing it to the bath towel so it’s not quite centered. And all my corners aren’t quite “square”, the hood wouldn’t quite lay straight to attach to the towel corner to corner, so I had to curve it upward as I sewed. So when it’s laying down flat, the hood kind of leans forward/upward to compensate, instead of laying flat too. But I’m learning and hopefully many more will follow with better results. Thanks so much for these tutorials, I learn so much! The towels can be a little tricky because of the thickness but once you get used to moving that thick fabric through your machine they are a breeze. Just takes practice. I am loving these posts! I learned how to sew when I was younger and am recently picking it up again. These lessons have been super helpful! Loving your series!! Thank you so much!! Thanks so much for this tutorial on the zig zag stitch. I do not use it often but now that I know a little more it seems to be the perfect stitch for some things. Thanks again.. Thanks for the zig zag tips and the link to Suzy’s Sitcom! I love the hooded towels! I think I will make them for my boys for part of their Valentines presents. I practiced my zig zag stitches on pajamas for my 6 year old. I haven’t made the towel yet, but I will give it a try soon. 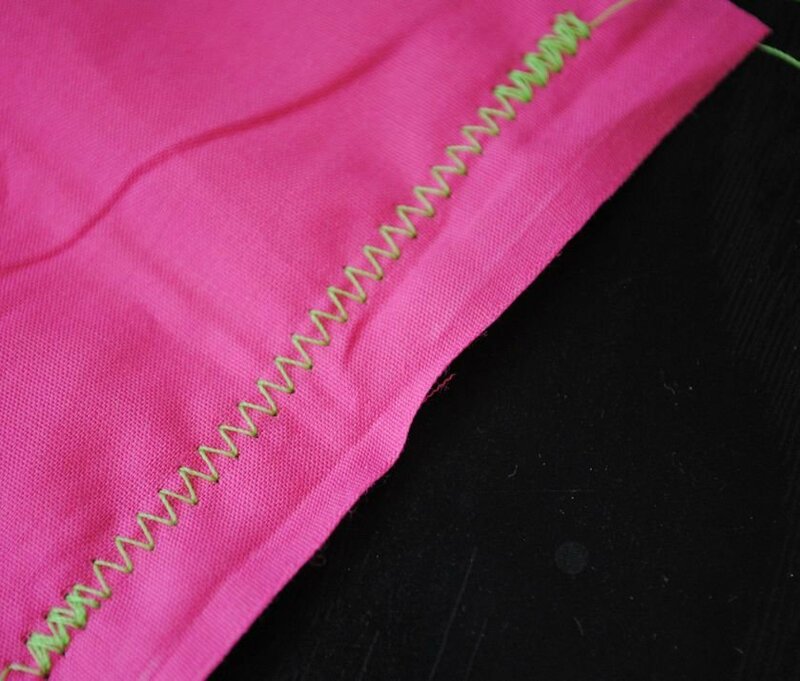 I love using zigzag stitches to “serge” clothes. Yay! I did it! It’s a little small for my 7 year old, so going to switch a few things up and try another one. This is perfect for my 4 year old nephew tho! Use this stitch often as I have a basic machine. Great idea to use on hooded towel. Thanks! I currently have a compact sewing machine but I want to buy something that can handle larger projects. Do you have any recommendations on a good starter machine that wouldn’t leave me too confused but could easily handle any one of the projects on your site? Thank you for all your hard work putting these lessons together! It went great! I made a basic hooded towel, and now I think I’m going to utilize my trusty seam ripper and pull the hood apart to turn it into a dinosaur. I’m also going to make a penguin towel for my daughter. And I’m thinking that a set of these will probably be a fun Christmas gift for my parents next year–they have eight grandkids and these towels would be super fun ones for them to use when they visit! I am so excited to finally be able to do this tutorial this weekend! My sister has always made hooded towels as baby gifts, so each of my girls have one…but a few extras would be nice (and some with BIG towels for summer swimming would be fantastic! ), so I can’t wait to get sewing this week! Thanks for the tut on zigzag stitch, too, I haven’t had the chance to use it yet, and look forward to it! Yes, hooded towel with a beach towel would be great! Love the lessons! My nieces will be getting lots of stuff from me thanks to you! Love the hooded towel! Can’t wait to finish mine…zigzagging away! The zig zag stitch is great, and the practice this week really helped! The hooded towel turned out ok, but it was challenging. 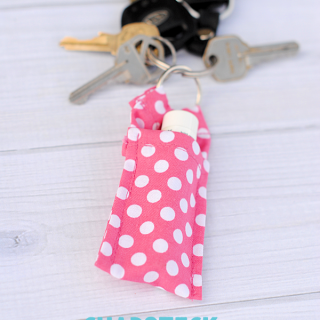 I will try to make it again, though, because it is a super cute gift idea! I also found the zigzag stitch to be a challenging one. I took many breaks when completing this project, but did get it finished and think it turned out quite well. I plan to try some of the animal hooded towels soon. Thank you Amber! Good for taking breaks. Sewing can be very frustrating but also very fulfilling. My towel is made…but I might have to rip it apart and try again with another towel that is thinner…I broke a needle! 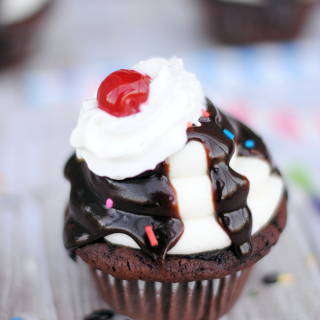 I want to make these for my boys for Valentine’s day, they are so cute! Ya, the towels can be tricky and hard on needles. SO EXCITED! I made one for my daughter and for my son, and they love them, and they actually turned out! Thanks so much Amber!! Hey there! I love your tutorials and this blog! I am VERY new to sewing but am enjoying learning. 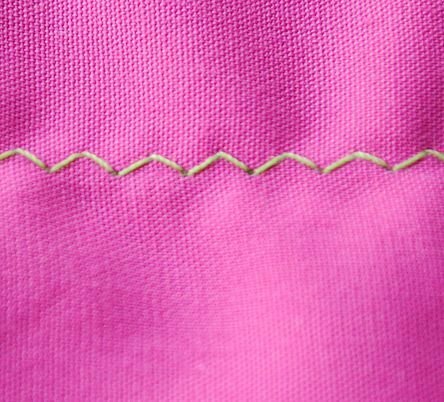 Today I was using a zig zag stitch on the edge of my fabric to prevent fraying. However when I turned the fabric right side out after sewing, the thread seemed a little loose. 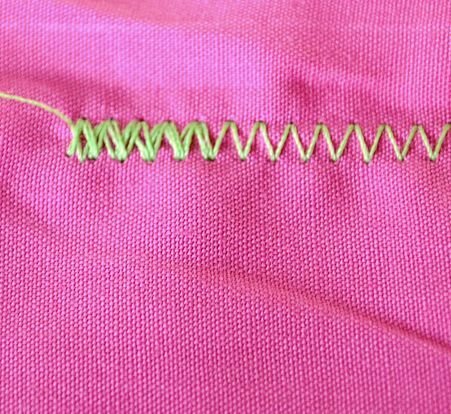 Now I noticed you said that you could do the zig zag stitch “first” when using it to prevent fraying. Should I do another stitch over it to make it tight? Thanks so much! Yep, I would just run a straight stitch along it too in that case in order to keep it secure. Hi Amber! Thanks for your much needed tutorial! I have never sewn in my life and decided to make a car seat cover! I taught myself through YouTube and blogs like yours!!! Amazing and so helpful! I have run into a problem that I’m not sure how to figure out…..I’m trying to do a cute decorative top stitch….a zig zag in between straight stitch…and my zig zag looks really good except every once in awhile it wouldn’t pull it tight so instead of a sharp hill (point) it’s more rounded…curved…if I could take a picture of it I would show you cuz I’m not sure if I’m making any sense haha! Do you know why that is? Thanks so much for your help!! It’s probably your tension. Or try a new needle. That can help. Can you tell me what model Janome sewing machine you have? I’m learning so much, Thanks! Thanks for the easy to follow instructions, it’s much easier when it’s in plain English! I am going to teach my 8yr old grand daughter to sew and think she will easily be able to understand your instructions. To the people that are having trouble with needles breaking on the thickness, use a small hammer to bang it down, also useful for jeans hems! Amber, I am having trouble with the felt I’m using for the tongue on my puppy hooded towel. The fabric keeps getting pulled down into the bobbin case AND the needle then gets stuck and won’t move. So then the fabric shreds. I feel like it would be better to sew it before cutting it out so I can hold onto it as it moves along. A few years ago, I made the frog towel and I remember having the same problem. Is there a setting change I should make? Or what? Thanks so much. I am not really sure! I haven’t had that problem. I guess another solution would be to use something other than felt to make the tongue? I’m sewing a dress or two or three, this week. 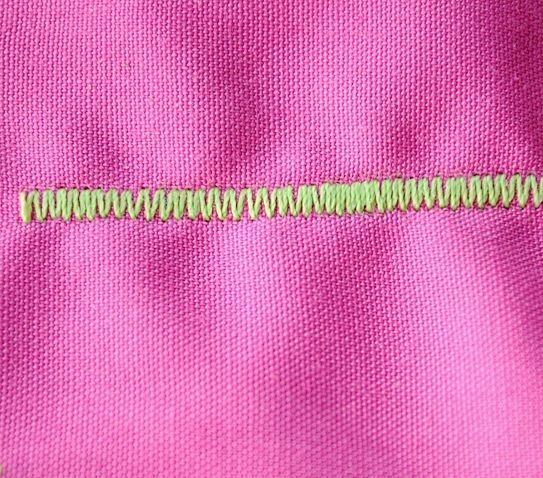 I don’t have a serger so I use the zig zag stitch to finish off my seam. I have been sewing for a few years but I was self-taught and I NEVER knew about the Satin Stitch and the use of a zig-zag! I’m excited to see the difference in the hold of the zig-zag vs the straight stitch, which has been a complete flop for most of my fabrics! Thank you! I tried the zig zag once, but the needle broke because the presser foot didn’t move and the needle came right down onto the side of the foot! Am i missing something? Do i need a special foot for zig zag? Tia! No you shouldn’t! Your machine should easily do a zigzag? Did you ever get it to work? Actually, I figured out that when i got my machine a couple years ago, I put a special foot on it for piecing quilts and forgot that it wasn’t the regular foot when I tried to do the zigzag!